Many times air conditioner repair jobs are minor. If you are a home or business owner and have purchased an air conditioning unit, it is with great hope that you have taken the time to purchase a maintenance plan for your air conditioner. If so, this is a great way for you to cut down on the cost of unexpected repairs if your air conditioner should ever happen to malfunction. Maintenance plans will also preserve and prolong the life of your system and keep it running as efficiently as possible. For instance, the maintenance plan can come in handy when it is time for your air conditioner to have the condenser coils cleaned or your air filter replaced. When you decide to partner with experienced technicians that are accustomed to doing Houston air conditioner repair for clients in the local area you will discover that if they will accommodate all of your air conditioner maintenance and repairs in a timely manner. These repairmen will know when your coils need to be cleaned and will keep your unit working at its peak performance when they come to assess your unit for its routine checkup. They are aware that if your coils are not cleaned on a regular basis it will have an impact on your energy costs, and your indoor comfort. A clean unit will allow air to flow more freely inside the home as well as reduce the workload of your system. We all know that higher energy efficiency will equal to lower energy bills. With all of the folks that are choosing to stay indoors, you as the homeowner need to be more cognizant of the air that is inside of your home as well. For instance, do you need to change the filters? These technicians can also recommend several different types of home energy saving tips that can help reduce the money that you spend on cooling costs. Summer is the time when we all turn down the thermostat to the lowest degree possible. However, there will be times when the air conditioner that we depend on so heavily in the summer months will need to be repaired. Often times it can be the simple things that we do on a daily basis that cause us to have to call the local HVAC repair technician to come and service our equipment. For instance, when we are mowing the lawn we really don’t think to stop and cover the unit until after we have finished the grass cutting. Lawn clippings can enter your air conditioner during this process and cause problems by prohibiting it to perform properly. Other problems with air conditioners can occur when the homeowner hears a series of strange noises such as rattling, hissing and clanking. Rattling noises could mean that there may be some sort of debris or a small twig from a tree may have become lodged in your system. After you shut the power off for the unit, remove the debris and check for visible damage to your unit’s condenser coils, fan and compressor. If there is apparent damage then you will need to call for air conditioner repair in Houston. The day your air conditioner goes on the blink in the middle of the summer heat can be one of the most annoying experiences of the day. 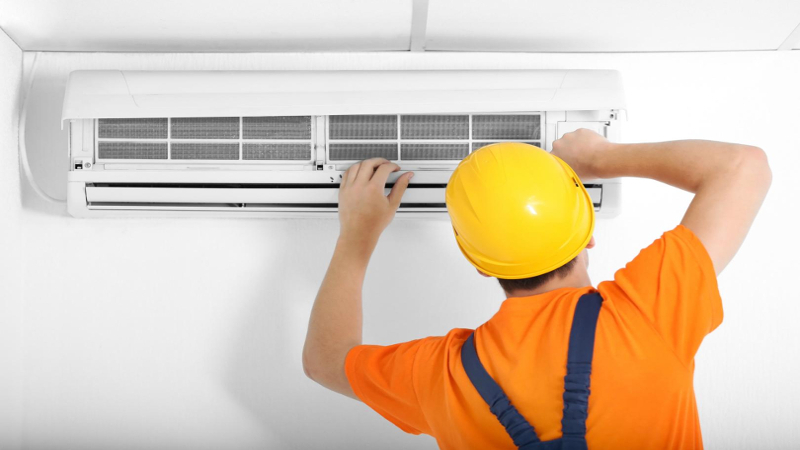 At this point, you don’t know whether or not the unit needs to be repaired with one of the components or if you will have to end up replacing it with a new air conditioner. This is especially true if your unit is more than 10 years old.